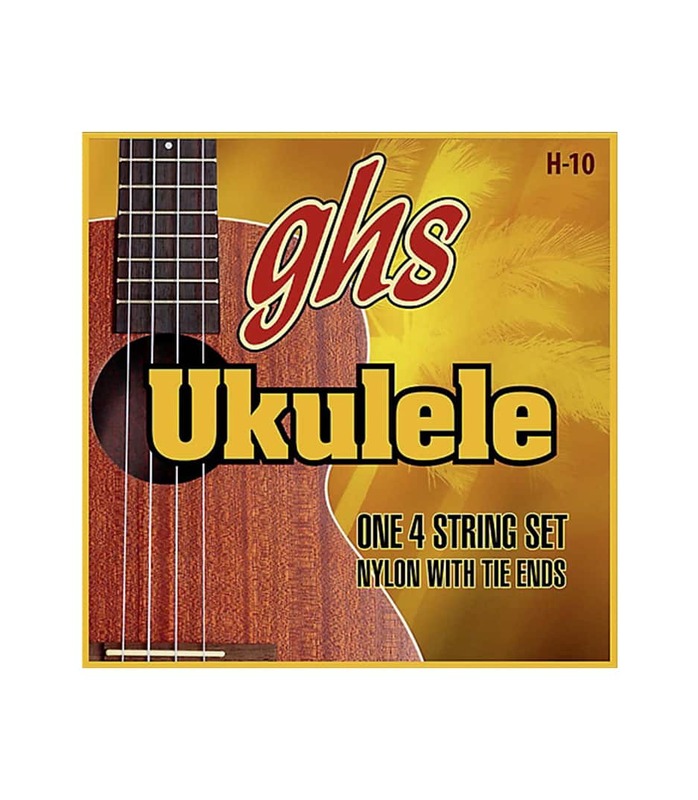 This 4-string set of H-10 Soprano/Concert Black Nylon Ukulele Strings from GHS is designed to provide the classic nylon feel with an articulate and mellow tone that gets you in that "aloha" spirit. Made for all players, from professionals to beginners, these strings offer a slightly lower tension for ease of playability with improved strumming and picking. This 4 String Set Of H 10 Soprano Concert Black Ny from Ghs is 100% original and brand new. We, at Melody House take pride in our after sales service and support. For further details on the this 4 string set of h 10 soprano concert black ny, Ghs, simply write to us to consult an expert or order online and we will take care of the rest. Happy Shopping!